Two new problems, one involving the Internal Revenue Service and the other the Federal Bureau of Investigation, have prompted tough questions from U.S. Sen. Chuck Grassley (R-IA), chairman of the Senate Judiciary Committee. He has asked the FBI to provide details on its largely secretive use of small aircraft to perform surveillance in certain circumstances. Some aircraft are reportedly equipped with technology that can monitor ground activity and even collect certain identifying cell phone information of people who are not the intended target of an investigation, often without a court order. “It’s not a secret that the FBI is operating in the skies above our nation’s cities and towns, but what’s unclear is precisely what the Bureau is doing and what legal framework is being used to guide its activity. 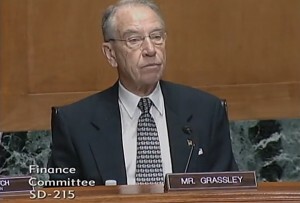 It’s important that federal law enforcement personnel have the tools they need to find and catch criminals, but whenever an operation may also monitor the activities of Americans who are not the intended target, as several media reports suggest, we must make darn sure that safeguards are in place to protect the civil liberties of innocent Americans,” Grassley said. Recent media reports revealed that the FBI conducts aerial surveillance by flying small aircraft equipped with surveillance technology in tight circles over certain communities. In a recent 30-day window, the FBI reportedly conducted surveillance operations in at least 30 cities in 11 states and Washington, D.C.
Grassley sent a letter to the FBI Monday evening requesting details regarding the scope and authority of its aerial surveillance program as well as what technology is used. A signed copy of the letter can be found here. His previous letter to the IRS, seeking answers about a recently reported data breach that affected more than 100,000 taxpayers, elicited a response from the IRS commissioner that the agency was slow to recognize a taxpayer data breach because the breach occurred during the high traffic tax season. 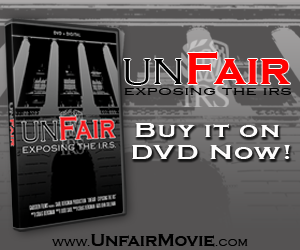 At a Finance Committee hearing today, Grassley asked IRS Commissioner John Koskinen why it took the IRS until mid-May to notice a data breach that started in February, affecting 104,000 taxpayers and leading to the filing of about 13,000 fake tax returns, with an estimated loss of $39 million to the government. Koskinen said the breach was more easily identified when the tax season slowed down. Also at today’s hearing, the Treasury Inspector General for Tax Administration, Russell George, said that since Fiscal Year 2011, his office has designated the security of taxpayer data as the top concern facing the IRS based on the increased number and sophistication of threats to taxpayer information and the need for the IRS to better protect taxpayer data and improve security. He said the inspector general completes approximately seven audits each year on various security programs, systems, and solutions. As of March 2015, these audits have resulted in 44 recommendations that have yet to be implemented, he said. While most of these recommendations are based on recent audits, there are 10 recommendations from five audits that are over three years old. CLICK HERE to see video of Grassley’s exchange with the IRS officials at Tuesday’s hearing.